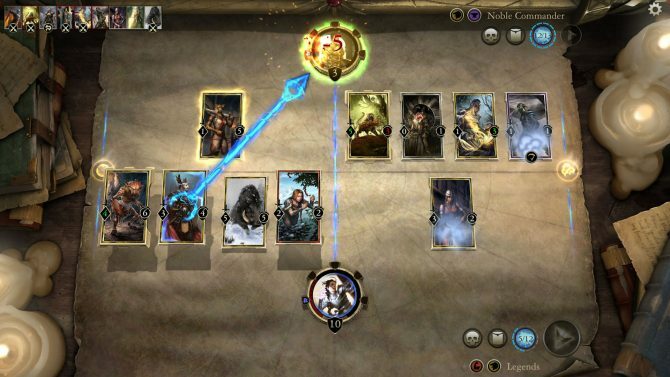 At PAX East 2018, we had the chance to talk to the Vice President of Marketing at Bethesda, Pete Hines, about the upcoming The Elder Scrolls: Legends expansion, Houses of Morrowind. 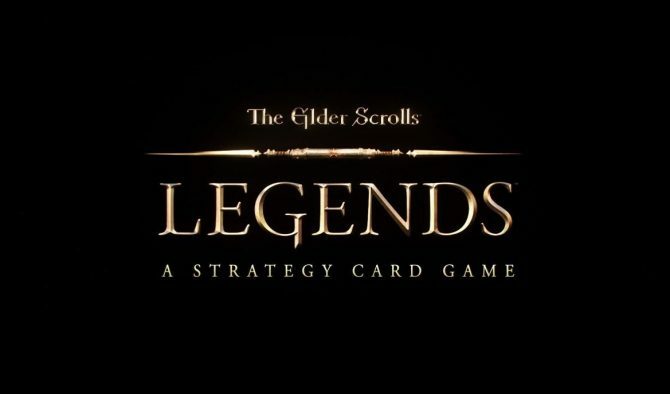 Houses of Morrowind is the latest expansion for Dire Wolf Digital and Bethesda’s strategy card game, The Elder Scrolls: Legends. 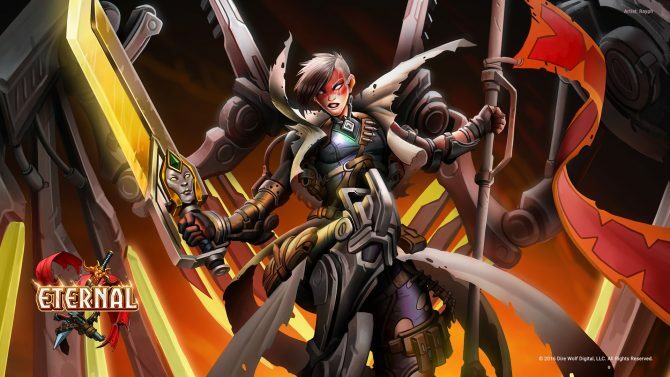 Based on the popular RPG franchise, the new expansion brings new features and cards that change the game in some significant ways. At PAX East 2018, we had the chance to speak to Bethesda’s Vice President of Marketing, Pete Hines, about the new expansion, his favorite game mode, and the possibility of a console version. Michael: Pertaining to the game’s community, how has it grown since it launched? Pete Hines: It has been pretty steady. We’ve had different sort of spikes of new people coming into the game. We had an “editor’s choice” from Apple and they’ll re-feature us as a previous editor’s choice winner. 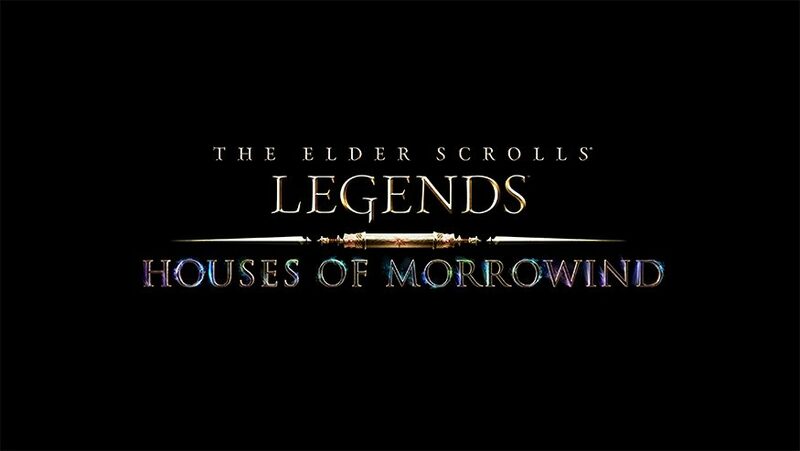 So, we’ll see a big influx of folks downloading the game through Apple, through Android, or the different content launches we do like Houses of Morrowind which just came out. When that happens, people come back to check it out. So, it’s been steady. It’s not Fallout Shelter where it went from nowhere to 100 million in a blink of an eye but it’s continuing to grow and evolve. We’re just starting our first bigger, better tournament format where we got qualifiers and championships, building towards a big grand finale putting some money out there. So, it’s on the right track. M: You are showing the new expansion, Houses of Morrowind, at the show today. What are some of its new features? PH: The game up until now has always been about playing a deck that is based on one or two colors. So, there are five colors in the game and a deck has been constrained to either including a single color or two colors and you can also add colorless cards in. It offers a lot of variety; You can play a blue/green deck that’s very aggressive, you can play a blue/green deck that’s more controlling or is more of a ramp where you are trying to quickly get to your bigger cards and late game stuff. The biggest thing this set does is introducing the concept of three-colored decks. There are five new three colored decks, and each of those represents a different house in Morrowind. If you played Morrowind or know anything about it, houses were these big factions that were the influential groups there. As a result of playing a three-colored deck, you have to have a deck that is a minimum of 75 cards rather than 50. Basically, you’re adding more variety to your deck by adding a third color but you’re also adding a whole other attribute. For example, a color like purple — which is endurance — doesn’t have a whole lot in the way of removal, right? It doesn’t have spells that just “straight kill that thing.” But, now that you can play purple and add in two different colors, you can add in a lot of other things that purple isn’t really doing. Purple is more about bulk; you get big creatures with big hefty stats but it might just be a big, dumb 5/6 as opposed to some other color that might get a 3/3 but it does some cool effect when it enters the battlefield. Adding these three color decks allow you to add a lot of variety and they do a number of things with the new mechanics we have. We have new mechanics; there’s Rally which says, “whenever a creature with Rally on it attacks, it randomly gives a creature in your hand +1/+1.” There are ways to build around that, right? You can deploy threats and have a single card in your hand with multiple Rallys on the board and each one of those is giving just that one card +1/+1. There is Plot which is a mechanic that says, “if you’ve played one other spell this turn, then when you play this, you get this big additional benefit.” There’s Exalt which says, “you can either play this 3 magicka card as just a 2/2 or you can Exalt it and pay a bunch more mana and it’s a 5/5.” So, in the early game, you can just play it for its cost or, if you top deck it later, you can spend a lot more magicka and get a bigger, beefier creature than you normally would have. If you’re a new player, well, it will all be new to you but if you’re an existing player, the three-color decks, the 75 card limit for three-color decks, and the new mechanics have really shaken things up a lot in the meta and people are trying a lot of different things. Lots of folks are still playing two colors, some folks are trying the three colors. It’s a really fun time to be on the ladder right now. M: One of the modes that I played was puzzle mode. I absolutely loved those. PH: Yeah, those are really popular. M: I wanted to know is your favorite mode to play in Legends? PH: My favorite mode is Arena. For those who don’t know, Arena means instead of building a deck based on the cards in my collection, I pick a class. A class is either a pair of two colors or now, three colors. Now that Morrowind is out, you’re always guaranteed to get one three-colored class to choose from. You are presented with three cards and you pick one and the other two go away and then you get three more until you build a thirty card deck based on random choices. So, I love the challenge of picking a class but I have no idea of what is going to be in my deck because the cards you pick from are randomly generated. When you play against somebody else, you really don’t have a clue what they’re doing either because you may know what the best spells or creatures are in the color they’re playing but you have no idea whether they even had a chance to pick those. Even if a card is the best in red, they may not have received that as a choice so there are none of those in their deck. It’s a lot of fun. The big thing that we do that a lot of other games don’t is that we have a solo Arena. So, if you love that idea but you’re intimidated by playing against other players, you can play against A.I. You draft a deck and then you have eight other A.I. opponents of different colors that you get to pick and you can play against them in any order. You’re trying to get to nine wins or three losses, whichever comes first, and you can get pretty generous rewards. It’s a really fun way to enjoy the game without the pressure of playing against other people. I’m still learning. 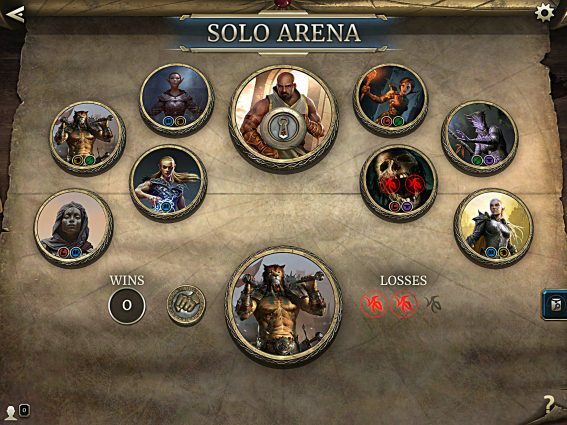 I’ve been playing the game since before any of you guys knew about it and I still play tons and tons of solo Arena because it’s just a really fun, sort of casual, and sort of low stress. But as you get better and better, you rank up and the decks you play against and the A.I. you play against gets a lot harder and more challenging. M: With a card game such as this, could you see it being a mini-game similar to how Gwent was for Witcher 3? PH: Well, in fairness, that went the other direction, right? Like whatever that game was called in Knights of the Old Republic. There are a lot of games that have done those before. In our case, no. I don’t see that being a thing. We really like Legends and think it has a bright future but it’s also a pretty complex game in terms of managing all the rules and mechanics and triggers and making sure when this thing happens, it plays out like you expect. Our game is divided into two lanes rather than just one battlefield, so those lanes could have different conditions. You’re getting a lot of variety but with that variety comes a lot of work on the backend to make sure it all works right. I don’t see us taking something that robust and plugging it into another game. M: Do you see this coming to consoles or do you see this more as a mobile and PC experience? PH: Honestly, I think everything is on the table. At the end of the day — and this is true for every game, not just Legends — we like to try and get our games to as many platforms as possible so that as many people as possible have the option to play. You see it on the Switch when we bring games like Doom and Skyrim and Wolf 2. We spend a lot of time and effort making these things, and the bigger the audience, the better. So yeah, I would love to see us do this on consoles and Switch. But there is a lot of things that we want to do to continue to grow the competitive scene and put out new content, to update and refresh the UI and the player experience. We have a giant bucket list of stuff we’re constantly working on, so yeah. I hope that happens, but we’ll have to see. 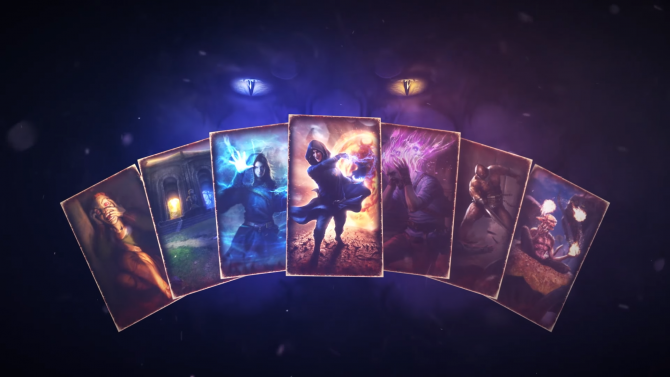 The Elder Scrolls: Legends expansion, Houses of Morrowind, is available for PC and mobile devices right now. Check out the site for more previews and interviews from PAX East 2018.